Christopher Philip Ferguson, nicknamed Jesus, is a famous American poker player. Having won five World Series of Poker events, Chris is a significant figure in the gambling industry. Chris was born in Los Angeles and owns a Ph.D. in computer science. At the age of 10, Chris has already started playing poker. He started off by playing online poker for money and by 1994, he participated in tournaments in California. In 1995, he entered his first World Series of Poker. 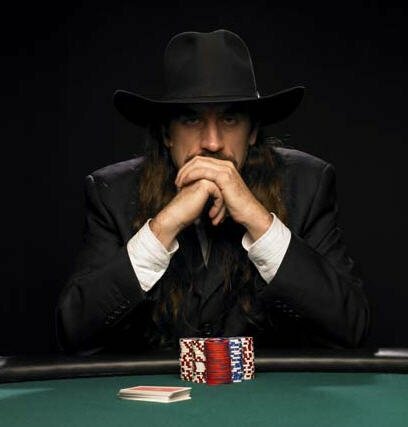 Chris Ferguson has garnered a total live tournament winning of more than $8 million as of 2010. Chris Ferguson is also dubbed a casino whore – someone who takes advantage of the bonuses offered by online casinos and makes a fortune out of it. He had allegedly turned $1 into over $20,000 just by playing online poker in the span of six months. To prove that this can indeed be done, Ferguson turned $0 into a whopping $10,000 on Full Tilt by first participating in freeroll tournaments. His most significant appearance is with is wide-brimmed hat and sunglasses, as he used to hide the fact that he was once just a college student when he first started gambling. He is nicknamed ‘Jesus’ for his long brown hair and beard. Ferguson uses game theory to continuously help him to improve his understanding of the game.